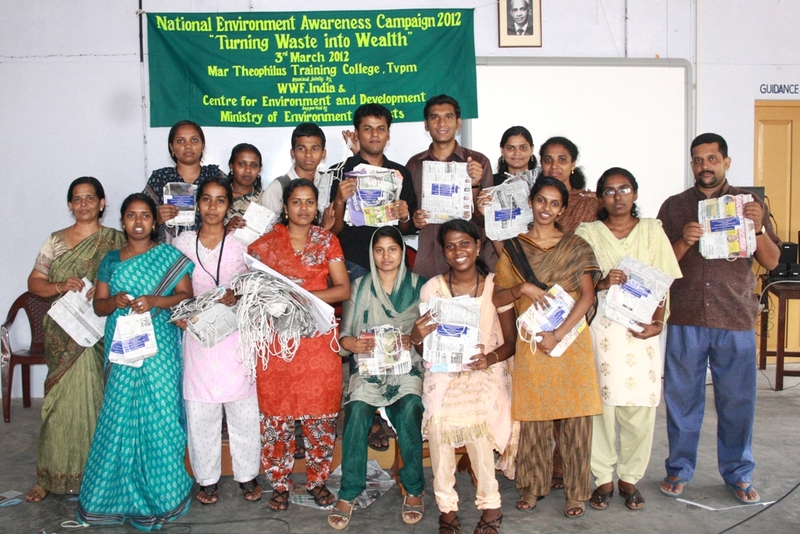 Kerala State Office in association with Centre for Environment & Development and with the support of MoEF conducted a programme titled ‘Turning Waste to Wealth’. The 150 Teacher Trainees of Mar Theophilus Training College, Nalanchira, Thiruvananthapuram attended the awareness programme in which all the participants were trained to make paper bags. The 1500 paper bags made by them were distributed to local shops free of cost to create awareness on waste recycling and also to reduce use of plastics in daily life.